The Rosedale 8 foot fronted premium garden shed is an apex roof shed manufactured from, hot-dipped galvanised steel throughout, finished with powder coated paint to provide a long-lasting, maintenance free lifespan. 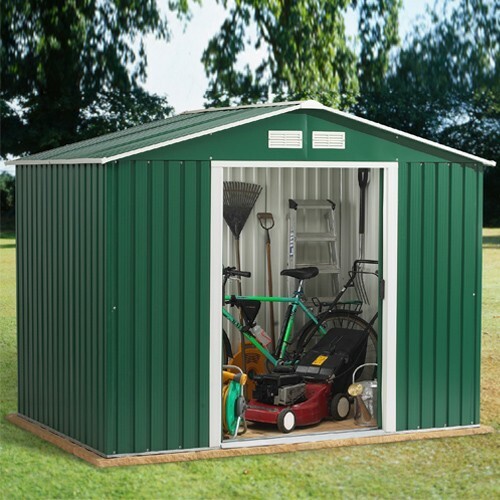 This shed is a great solution for your garden or caravan parks where non-combustible storage sheds are compulsory and will provide a rust-free, durable storage solution for a minimum warranty period of 10 years. 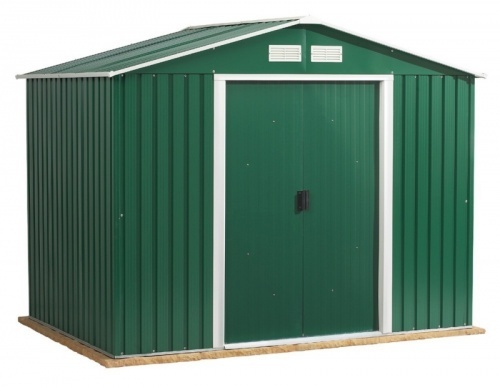 EMERALD products are high specification lightweight metal garden sheds. 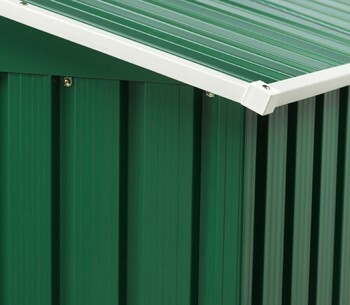 Apart from the high grade of steel and paint finish, they have ventilated gables, a robust entry/exit ramp and all standard buildings have various safety features throughout to ensuring no sharp edges are left uncovered, allowing you to walk into your shed without having to be overly cautious, unlike other premium sheds. Each Emerald shed has pad-lockable door handles and sliding runners. These double sliding doors, provide great access to all your stored items through the spacious opening. A foundation kit forms a steel grid over your damp proof membrane, allowing you either to fill with concrete to create a concrete base or cover with marine ply to create an internal floor. (A foundation kit can be purchased as an optional extra. We dont supply timber floor kits for the Emerald Range).